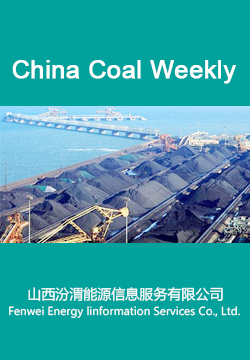 China Coal Weekly is a weekly newsletter covering the latest coal sector hot news, latest highlights in related industries, market comments, and analysis and forecast for thermal coal, coking coal and coke. Besides the news stories, the newsletter also maintains updates on the CCI Thermal and Metallurgical Coal indices, prices at main production areas and transfer ports, statistical data on coal and related industries (production, stocks, import & exports, etc.). All these data are included in the Weekly Supplement (24 Excel sheets in total).